No. 4 Stanford men’s cross country and No. 11 women’s cross country will seek to maintain their postseason momentum at the NCAA West Regional meet on Friday in Seattle. The regional meet is the final race before the NCAA Championships on Nov. 21 in Louisville, Kentucky. The regional meet offers a chance for the Cardinal men and women to clinch spots in the NCAA Championships. The Cardinal men’s second-place finish at the Pac-12 Championships on Oct. 30 makes them a heavy favorite for an automatic berth into the NCAA Championships. On the women’s side, Stanford, Oregon, Boise State and Washington are in close competition for an automatic berth. The Cardinal women should not have to depend on an automatic berth, however. The team is in good shape to claim one of 13 at-large spots for the NCAA Championships, partly thanks to the team’s third-place finish at the Pac-12 Championships. The Cardinal women are a regular fixture at the NCAA Championships: The team will be looking to extend its current streak of 22 consecutive NCAA top-16 finishes. The women’s third-place Pac-12 finish was headlined by fifth-year senior Aisling Cuffe, who won the meet for her second time, covering the 6-kilometer course in 19:53.1. After missing nearly 15 months of competitive racing due to injury, Cuffe’s victory was just her second race of the season. Cuffe earned two additional conference honors: Cross Country Scholar-Athlete of the Year and the Women’s Cross Country Athlete of the Year, the latter of which she won for the second straight year. Although sophomore and 2014 Pac-12 Freshman of the Year Elise Cranny has not competed so far this season due to injury, the Cardinal women have benefited from consistent contributions throughout the lineup, including breakthrough seasons from junior Vanessa Fraser and sophomore Julia Maxwell. The team has notched top-three finishes in four of its five total races this season. Its lowest team finish has been a still-impressive fourth out of 45 teams at the Pre-National Invitational on Oct. 17 in Louisville, Kentucky. The Cardinal’s depth on both the men’s and women’s side was made evident last week, when five Stanford runners were announced as picks for the All-Pac-12 teams. Cuffe and Sean McGorty, this season’s Pac-12 men’s runner-up, were selected for the first teams. Grant Fisher and Joe Rosa made the men’s second team and Vanessa Fraser is on the women’s second team. The Cardinal men have rebounded after an uncertain start to the season, which included a 21st-place finish at the Wisconsin Invitational on Oct. 2. The Cardinal men’s national ranking briefly dropped from its preseason No. 2 spot to No. 23, but climbed back to No. 4 in the poll released last week. Various injuries kept many of the team’s top runners out of competition early in the season. 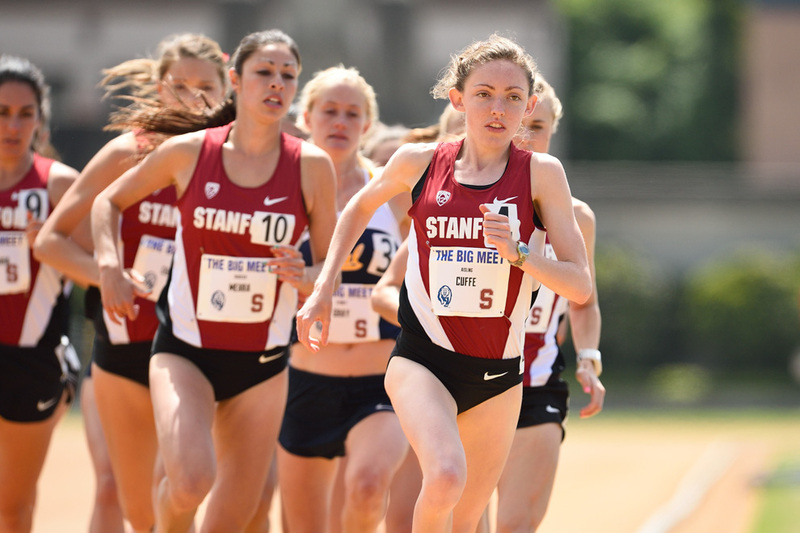 At the Pac-12 meet, many of those top runners helped the team to its runner-up finish. Fifth-year seniors and cross country All-Americans Joe and Jim Rosa came back from injuries to place eighth and 20th, respectively, out of 79 runners. Freshman Grant Fisher, a two-time Foot Locker high school national champion, placed 16th in his collegiate debut.